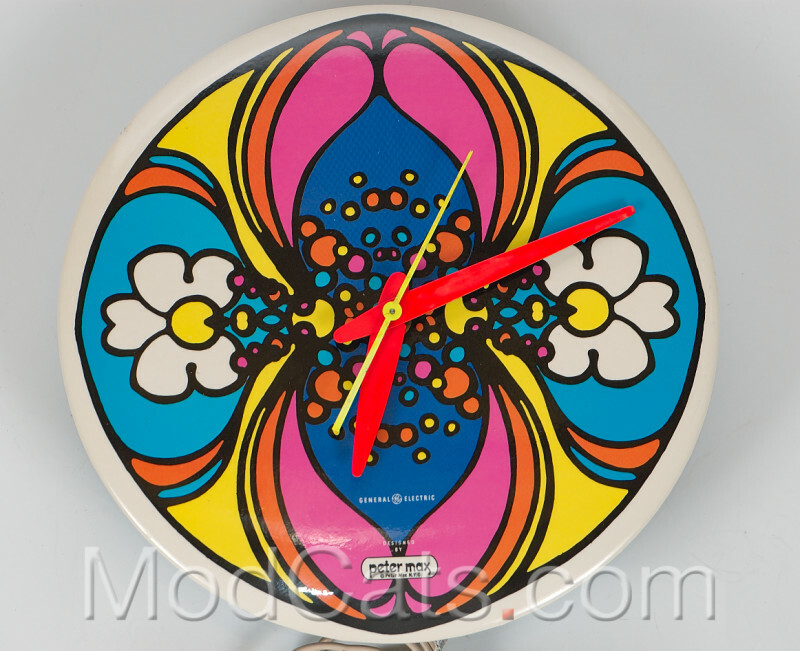 Peter Max 1970 electric wall clock, for General Electric, with characteristic design in pink, yellow, blue and black. Marked with Peter Max logo. Comes with remnants of original funky box.